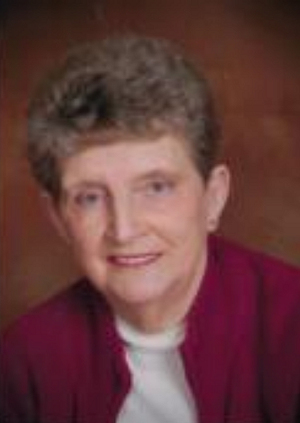 Obituary – Dorl, Mary Ann (Edwards) « Perry High School Alumni Association, Inc.
Secretary of Sophomore Class 51-52; Library Staff 50-51; Red Hots 50-51; Vice President of Red Hots 50-51; Student Council 52-53; Football Queen Business Manager 52-53; Office Staff 53-54; Teen Town Clerk 53-54; Band Queen 53-54; Class Assemblies 50-54. Mary Ann Dorl, 80, of Perry, Oklahoma, was the daughter of Glen and Mary Esther (Devery) Edwards. She was born June 7, 1936, in Perry, Oklahoma and passed away April 14, 2017. Mary Ann graduated from Perry High School in 1954 and lived her entire life in Perry. On February 20, 1955, she married the love of her life, Jack Dorl, at St. Rose of Lima Catholic Church in Perry. As a young woman Mary Ann worked at Southwestern Bell. She stayed at home to raise their four children and later managed the Cherokee Strip Restaurant. She also owned and operated a children’s clothing store, the Sugar Plum, next door to Jack’s Barber Shop, on the north side of the Perry Square. They also owned and managed two housing complexes for many years in Perry. She is survived by four children, Susan Burris and her husband Wayne, Smyrna, Delaware; Lynette Luttrell and her husband, Tom, Enid; Rick Dorl and his wife, Robin, Glencoe; Tim Dorl and his partner, Tina, Oklahoma City; her sister, Glenda Bronson and her husband, Joe, Edmond. Also surviving are her grandchildren Dave Deken and his wife Crystal, Stillwater; Michael Deken, Oklahoma City; Matt Luttrell and his wife Cindy, Norman; Natalie Johndrow and her husband, Eddie, Enid; Jerrod Luttrell, Oklahoma City; Tabi Deal and her husband, Toby, Stillwater; Trent Dorl, Stillwater; and Parker Dorl, Stillwater. Mary Ann was also blessed with six great-grandchildren, twins Savannah and Molly Deken, Hannah Luttrell, Arianna Standing, Jerome Standing, and Laiken Deal. Survivors also include many nieces, nephews, and cousins. 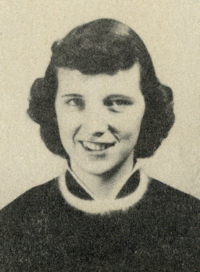 She is preceded in death by her husband, Jack in 2013; and her brothers, Bill Edwards, Bob Edwards, and Kenny Edwards. Viewing will be Tuesday, April 18, from 9am -5pm at Palmer Marler Funeral Home with Rosary to follow, at 6 p.m at the St. Rose of Lima Catholic Church in Perry. Mass of Christian Burial will be 10 am Wednesday, April 19, 2017, at the St. Rose of Lima Catholic Church in Perry, where Mary Ann was a life-long member. Father Bela will officiate. Interment will be at St. Rose of Lima Catholic Cemetery in Perry. Services have been intrusted to the care of Palmer-Marler Funeral Home. Memorials may be made to the Catholic Charities, the American Diabetes Association, or the Perry Police or Fire Department in c/o Palmer-Marler Funeral Home, 203 Fir Avenue, Perry, Ok, 73077.